An infra-red system from HERAEUS NOBLELIGHT has reportedly dramatically reduced energy costs in the coating of board for food packaging at the Stroud factory of The Olympic Varnish Company. The coater line at Stroud has three coating stations and these are used to apply the polymer coats, or pigment coats if necessary. It is important that the board is dried after each coating and previously this had been done by means of steam-heated, hot air driers in the coating line. However, this was very energy-intensive, as the driers had to be kept at temperature throughout each working shift. To solve these problems, it was decided to use infra-red for drying and three 7kW carbon medium wave modules were easily retrofitted before each drier. There was no need to remove the driers and today these are merely supplied with ambient, unheated air. A custom-built, short-wave infra-red system from HERAEUS NOBLELIGHT is reported to be helping to save energy and allow faster production line speeds at the Cramlington manufacturing site of RENOLIT. 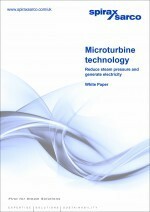 SPIRAX SARCO says its new White Paper explains how microturbine technology can deliver substantial electrical energy savings for steam system operators. Salmon producer Marine Harvest VAP (UK) has achieved annual energy savings of £21,000 after Atlas Copco updated its compressed air system with new technology. PWE reports. Heat recovery should be a serious consideration for any business running a compressed air system. Andy Jones, managing director at Mattei, talks through the options. Oil-free compressors are appropriate for hygienic applications such as food or pharmaceutical production and can be designed for maximum efficiency, says Mark Whitmore, general manager at BOGE.